The Congo has always been involved in several conflicts, caused by a rush to hoard the countless resources of national forests and minerals. The industrial exploitation of wood has not brought any benefit to the 40 million people living in this country. 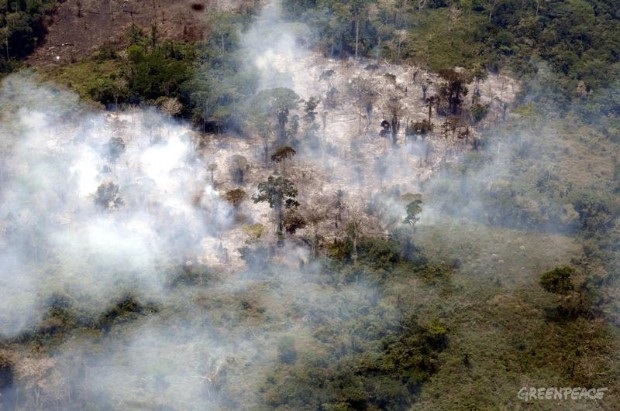 Deforestation, pollution and violence threaten the rights of tens of millions inhabitants, causing serious social conflicts and threatening the extraordinary biodiversity of the country. Conflicts with timber companies, even some of them with FSC certification has led to human rights abuses, arbitrary arrests, imprisonment and the deaths of protestors with villagers blockading timber trucks. State Forest Reserves in Bas Congo were also harvested by MALBA and SOFORMA in a 50/50 split with the government to finance from 1998 onwards the war. Greenpeace, along with other organizations, does campaign and pursue charges against logging companies abusing FSC certification and the certifiers who grant it to them without properly assessing the company’s fulfilled requirements. As it was the case for instance in 2011 against the company SODEFOR and its certifier Rainforest Alliance SmartWood. The scandals about the devastation of the Congolese forest are numerous and involve powerful actors. FSC Watch reveals for example that in March 2015, the World Bank promised US$ 1 million to support the plantation of cash crops by the Congolaise Industrielle des Bois (CIB), a subsidiary of the OLAM agricultural trader. But it has to be remembered that four years earlier, in 2011, CIB announced the start of agricultural activities on its forests’ concessions, forests which have now disappeared. The switch from logging to non-forest use is prohibited by Congolese law. 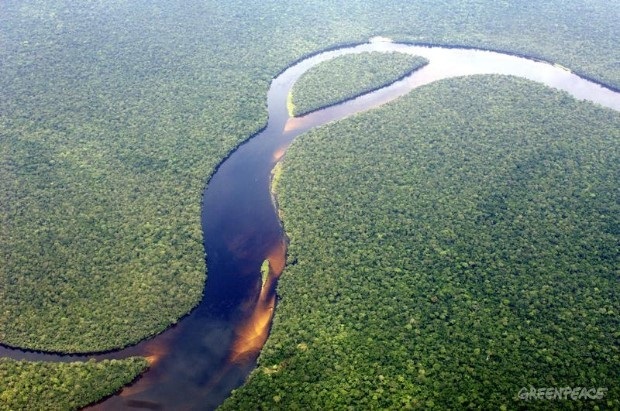 Project Details By 2050 the expansion of the Congo timber industry is estimated to destroy about 40 percent of the forests through deforestation. Industrie de Transformation de Bois (ITB) from Congo, Dem. Rep. Pathways for conflict outcome / response The timber exploitation continues its activity without any problem. Development of Alternatives The stop of the logging activity and the restoration of the area. Why? Explain briefly. The multinational companies continue logging the Congo forests. Elikia. Storie dal Congo. Frazzetta, Andrea; Massarenti, Joshua. Ed. TERRE DI MEZZO. 2007. Lalba della Democrazia Viaggio nel Congo che cambia. Meandri, Eugenio. Ed. EMI. 2007. Africa - forests under threat. Carrere, Ricardo; Fonseca, Hersilia. Ed. World Rainforest Movement. 2002. Congo-Ruanda Burundi-Le parole per conoscere.Touadi, Jean-Lonard. Ed. Editori Riuniti. 2004. Lindustria del legno in Africa: impatti ambientali, sociali e econominici. Autori Vari. Ed. Greenpeace. 2001. Il saccheggio delle foreste in Congo. Autori Vari. Ed. Greenpeace. 2007.